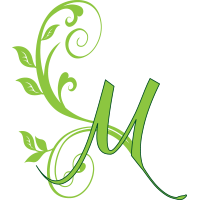 Maurissa's Skin Care - What are “facials”? Why should I have one? What Is A Facial? And what is so great about them? It is a treatmen t in which a professional licensed esthetician will assess your skin, consult about issues or concerns you may have with it, and then perform a number of steps that are targeted specifically to your skin type. 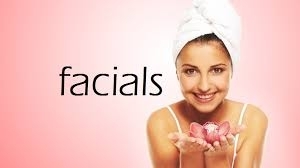 A general facial treatment includes cleansing, skin analysis, exfoliation with or without steam, extractions (if necessary), massage, masque, and moisturizing. Facials that include exfoliation stimulate blood flow and increase the rate of skin turnover, bringing newer cells to the surface more rapidly. The “new skin” then has a smoother appearance, and is better able to retain moisture. After working with a dermatologist for 13 years, I was very skeptical of facials. I believed they were all “fluff”. Medical skin care focuses on clinical treatments such as chemical peels and microdermabrasion. Anything beyond needing that is referred to laser treatments and more invasive procedures. I still highly believe these more medical treatments are effective and sometimes very necessary. What I have loved learning is, there is so much more! 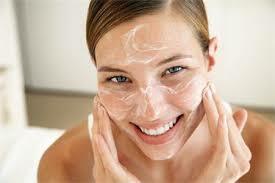 I still include exfoliation treatments such as chemical peels and microdermabrasion into my skin care when warranted. They are both very effective ways to reach deeper levels of the epidermis (the most outer layer of the skin). However, enzymes have opened a whole new world of skin care for me. They are gentle, organic, and can be used for gentle skin types to the most thickest and sebaceous (oily) skin types. There are several I have come to love and use frequently in my facials and acne treatments. Sometimes, I even use them after a microdermabrasion. Enzymes are a tool that I have begun including in my weekly skin care routine for my own skin. So what do these treatments (chemical peels, microdermabrasion, and enzymes) do?? Exfoliation. Such an incredibly important step to maintaining healthy and beautiful skin and the most important part of a facial. The term exfoliation refers to any procedure that sloughs away dead skin to reveal softer, fresh skin below. We can exfoliate our skin manually with scrubs or a microdermabrasion procedure, or chemically by applying products such as peels and enzymes. Any method that helps remove dead, crusty skin is a form of exfoliation. A licensed esthetician has the knowledg e and ability to use professional products that are not available to the general public. These products need to be carefully applied and monitored so that they are effective but can cause no harm or damage to the skin. Exfoliation accelerates the process of skin cell replacement by accelerating the chemical reactions necessary to bring forth newer, plumper cells and to rid the skin of the older, dead cells. You have probably come to know the term exfoliate, due to scrubs and loofahs. Chemical peels, microdermabrasion, and enzymes can accomplish exfoliation much faster. Peels can loosen and remove dead skin cells, promoting growth for younger cells, and therefore diminish scars, age spots, fine lines, discoloration, and decrease acne. These types of exfoliation can also penetrate the skin to help cleanse pores and improve skin tone and texture. Can you explain in more depth the products used for chemical peels or enzymes? Chemical peels are typically Beta Hydroxy Acids (BHAs) such as salicylic acid (from willow bark – same as aspirin), and Alpha Hydroxy Acids (AHAs) such as glycolic acid (from sugar cane), lactic acid (from milk), and malic acid (from apples). These acids remove dead skin by dissolving the “cement” that holds cells together. Many of these acids also have anti-inflammatory properties, anti-bacterial properties, and can reduce sebum (oil) production. Other excellent benefits are reduction in pigmentation and rebuilding of collagen. Enzyme exfoliants, also usually called peels, are an excellent option for most of us, and are especially useful for skin that is too sensitive for other types of peels. Papaya and Pumpkin enzymes are a personal favorite of mine, for removing the very outermost layer of dead skin (stratum corneum) and for preparing clients for much easier blemish extraction or better yet, a serum infusion. Natural enzyme peels are gaining in popularity because they are safe for all skin types, do not wound the skin–as a harsher chemical peel would–they’re inexpensive, and they don’t cause profound redness, causing you to hide out at home for days. Popular ingredients for enzyme peels include papaya, pumpkin, pomegranate, passionfruit, orange zest, lemon zest, and cherry. Who should avoid these types of chemical peels? Pregnant or lactating women should speak to their doctor before having this type of peel, because salicylic acid is absorbed through the skin and could impact the baby and mother’s milk. Salicylic acid peels should not be used over large areas of the body unless approved by a physician. People with kidney disease, liver disease, diabetes or poor circulation may not be able to use products containing salicylic acid. Anyone with an allergy to aspirin should avoid salicylic acid, and anyone with a milk allergy or sensitivity should avoid lactic acid since the two products are related. As long as there are no food allergies to the specific enzyme used, enzymes are safe for all medical or health conditions. I had a facial and my skin feels amazing! Now what??? Maintenance. 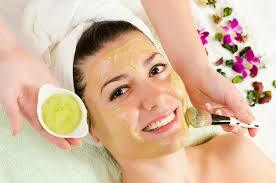 Home care maintenance and continued periodic facials. After a single facial, your skin will feel amazing for the week. However, our skin is very good at what it does. It rebuilds itself…..quickly, which is what we want! We want to get the skin in a cycle of exfoliation and therefore making it rebuild itself, therefore producing more collagen and elastin in the skin. Think of it like exercising your skin. The more you exfoliate, the more protein it builds – just like exercising your body! Home care maintenance should include a daily exfoliation of some kind. My favorite, and the favorite of most dermatologists is a Retinol product. The retinol works at a cellular level to speed up cell reproduction. With this acceleration, your skin may feel dry. There are many different strengths of retinol and I will help you find the right one for you. Other daily exfoliation methods could be use of an AHA or BHA, or a scrub, or a Clarisonic (a must have!). I recommend facials with a deeper exfoliation and deeper hydration every 4-6 weeks. This will keep your skin working hard! Well…..my wrinkles are not going away!! What I can promise you, is that I will always be honest with what I can provide and how I can truly help transform your skin. Sometimes it takes a couple tries to find the right products and procedures. Every single person’s skin is different. I have vast experience with all types of skin, but every now and then, someone’s skin likes to throw me a few curve balls. One way or another, we will make a difference together, and we will do it safely. Stay tuned!! I will dive deeper into the importance of facials with massage, lymphatic drainage, and what services such as galvanic and high frequency can provide! Most of the information I use is from medical skin care sites. Other than that, I use my 14+ years of experience to add in. place else may I am getting that type of info written in such an ideal manner? but typically people do not discuss such issues. To the next!